Vegan | The Sassy Spoon: Fun Food! 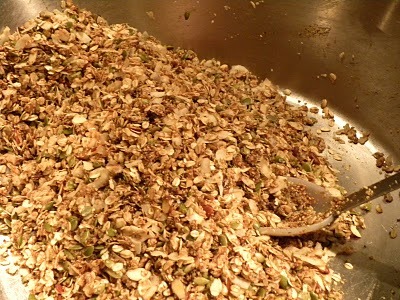 I have been making granola forever, it was probably one of the first foods I made in my adult life as a cook. When I was in cooking school in Cuernavaca, Mexico we had some with pepitas (pumpkin seeds) and since then this has been my favorite recipe. 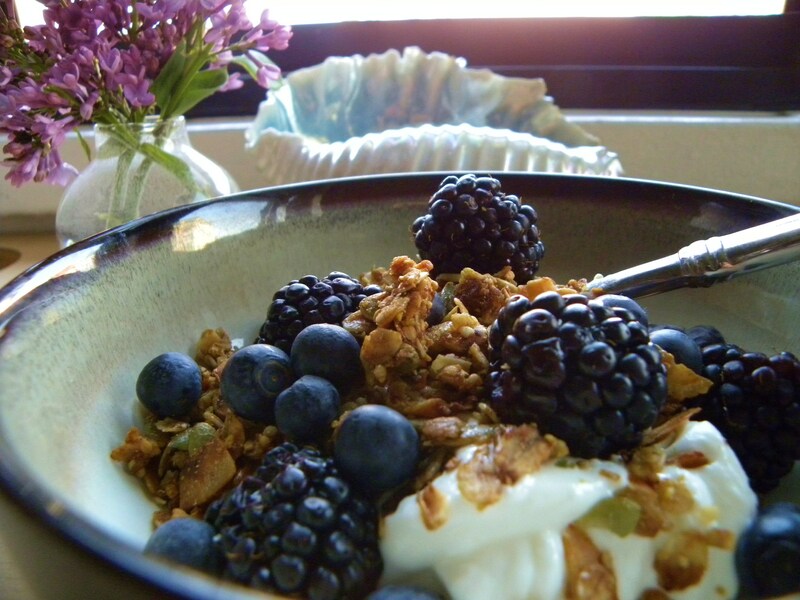 My favorite way to eat granola is on top of fresh Greek style yogurt with some fresh berries or fruit. This is very easy to make and far better than most store bought versions. I do not add dried fruit to the granola until serving as it tends to soften the granola, but this goes nicely with dried fruits as well as fresh. 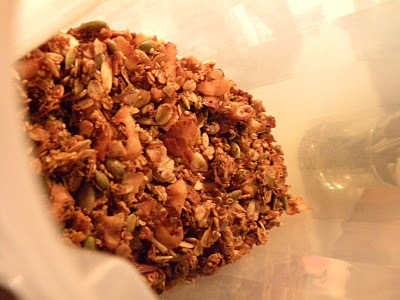 You can also store granola in the freezer to prevent softening. 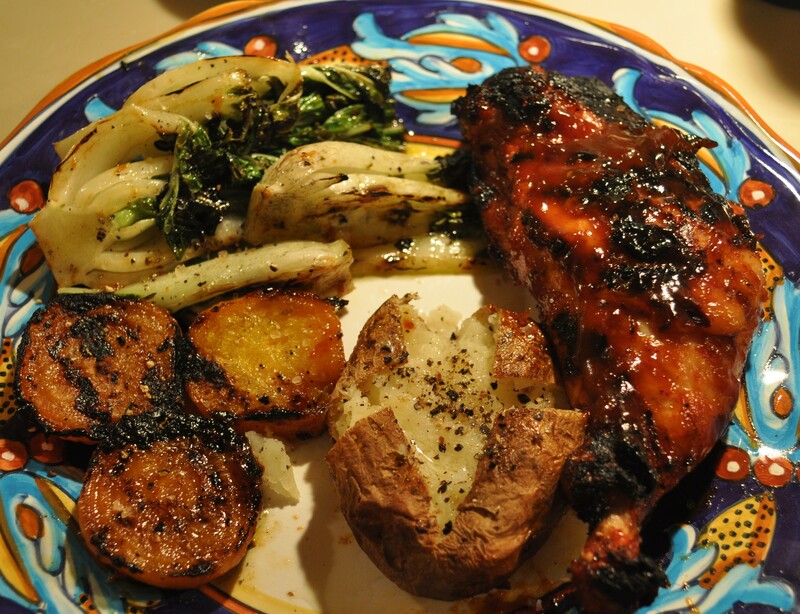 This recipe was adapted from Calle Ocho in New York City. Mix all in a very large bowl. Bake on baking sheets lined with parchment or silpat for 15minutes, remove from oven and stir well, then bake for another 10 minutes. If the granola is browned, remove from the oven. If it is not browned, stir and put in for another 5 minutes. When golden brown cool, then place in airtight containers. Baby bok choy is one of many Asian greens available here year round. In our farmer’s market a bouquet sized bunch of it is just $1. If you live on the mainland, you may have to wait for Spring to get fresh local bok choy, but it does grow everywhere in temperate months. It is also very easy to grow in the garden. After you have soaked the bok choy in water and drained it, all you do is cut each baby bok choy in half and trim the thin upper leaves a little. 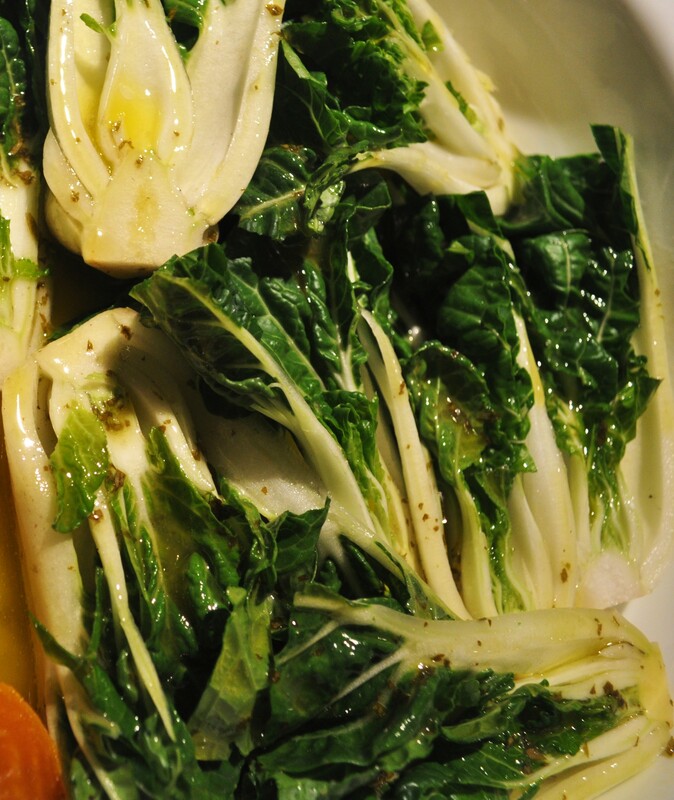 Then drizzle with a simple lemon vinaigrette (1/4 cup of lemon juice, ½ cup of olive oil, a tablespoon of Dijon mustard, a pinch of salt and two tablespoons of agave syrup) and allow the bok choy to rest in the marinade. 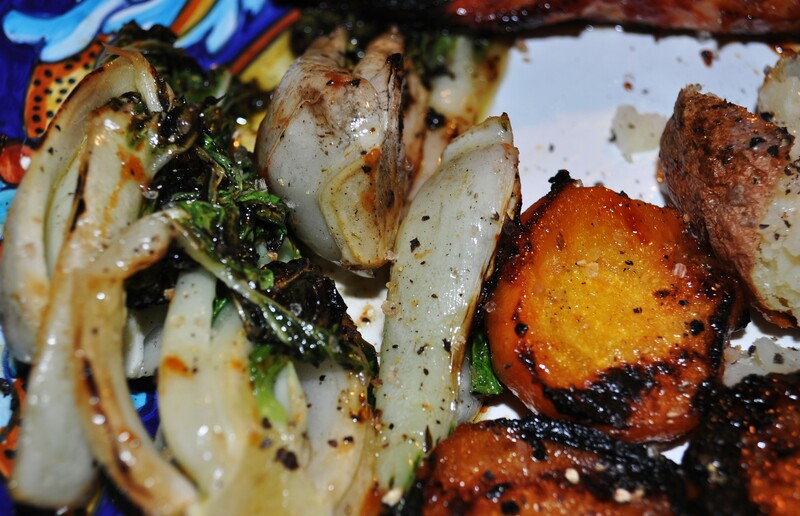 I also had some golden beets that I had roasted and I sliced them thickly and placed them in the marinade too. Heat a grill on high and once it is good and hot, turn down to medium. 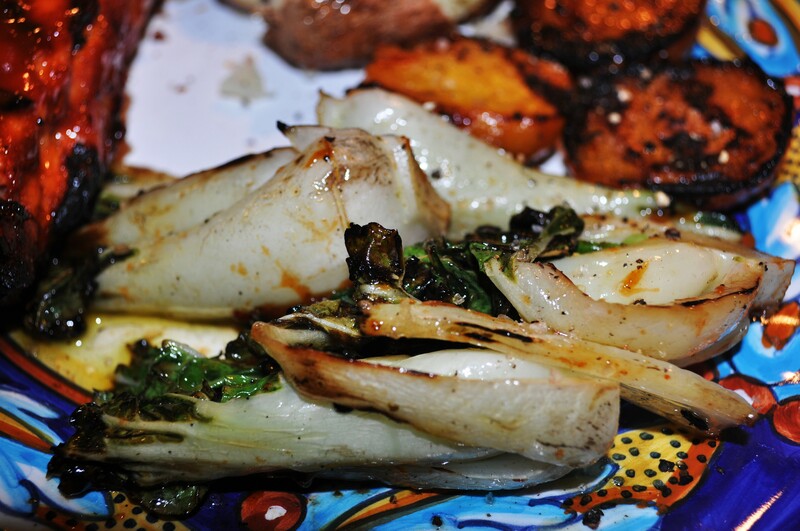 Place the baby bok choy on the grill, being careful of flare ups because of the marinade. I keep a water bottle handy. It only takes about 2-3 minutes on each side, just till you see some grill marks, you want the greens with just a little crunch. Sprinkle with a little salt and pepper to taste. You can also use a more Asian marinade instead, but I like the freshness lemon adds to the dish. You could also use other baby Asian greens such as baby Tat Soy. This fresh clean salad is vegan and gluten free. 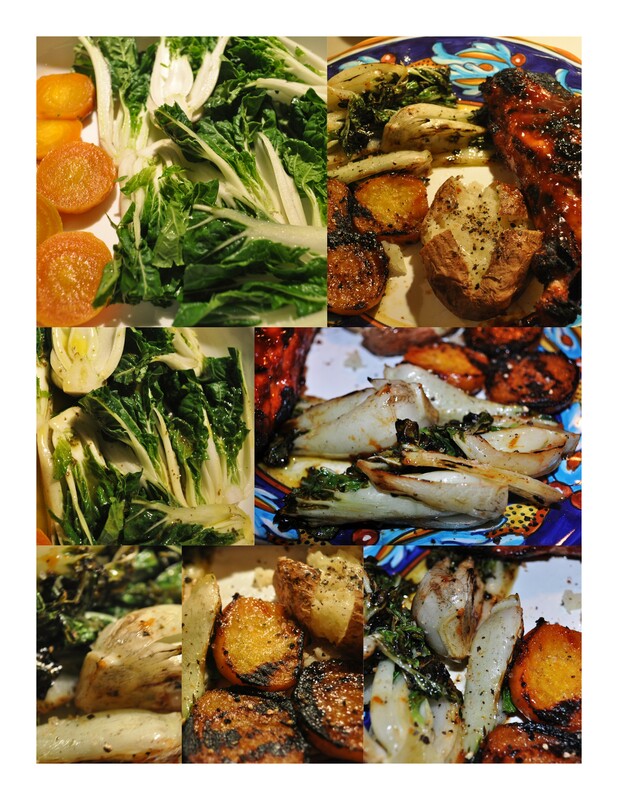 It is easy to make and has some really interesting flavors. I sometimes add pomegranate during the holidays. The recipe is adapted by one on Epicurious.com. 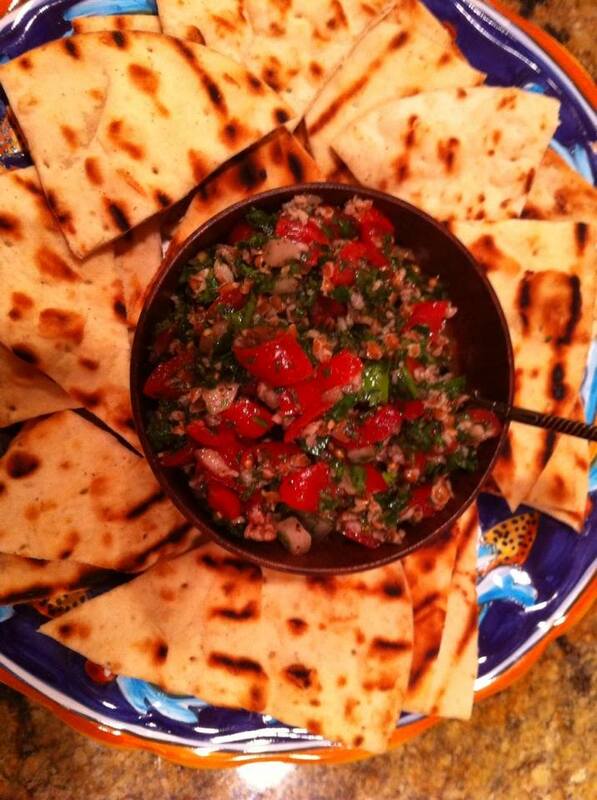 I first tasted it when my friend Janet Montrose brought some to a party at our house. 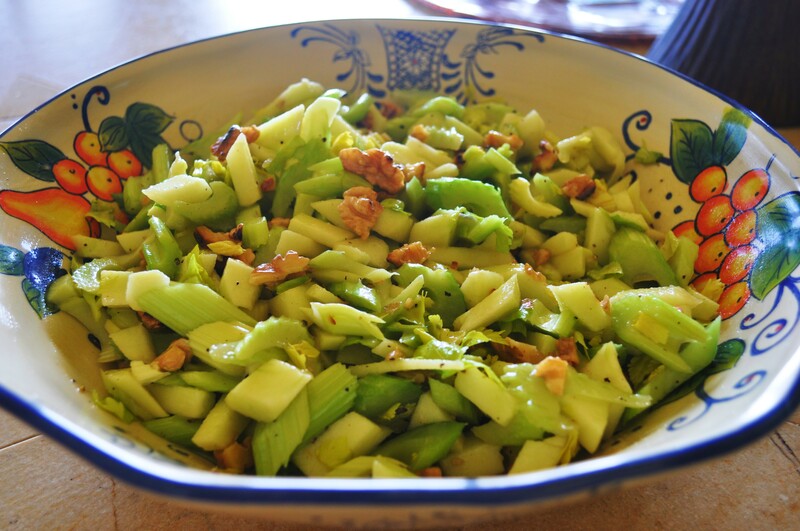 I love the light crispy fresh salad so much that I make it often. It is best eaten immediately after making. Whisk first 3 ingredients in small bowl to blend. Gradually whisk in oil. Season vinaigrette with salt and pepper. Drain celery; pat dry with paper towels. 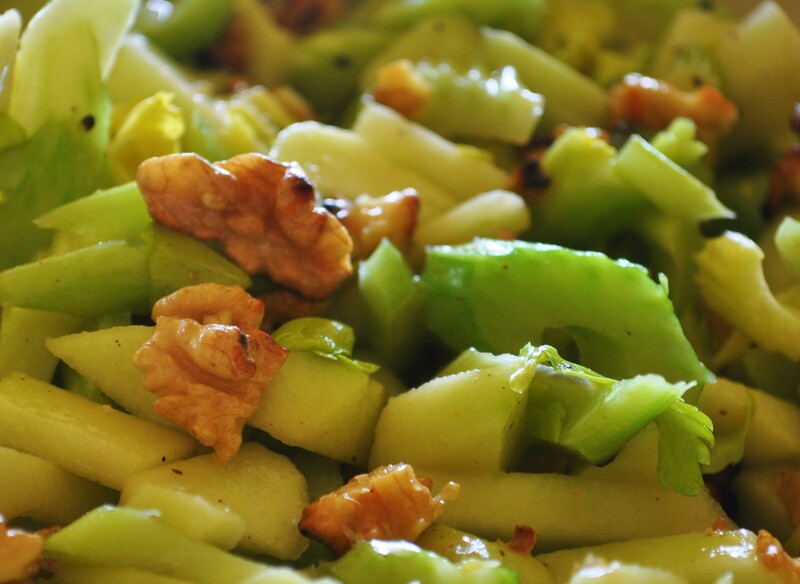 Combine celery, celery leaves, apples, and walnuts in large bowl. Add vinaigrette and toss to coat. Taste and season salad to taste with salt and pepper if needed. 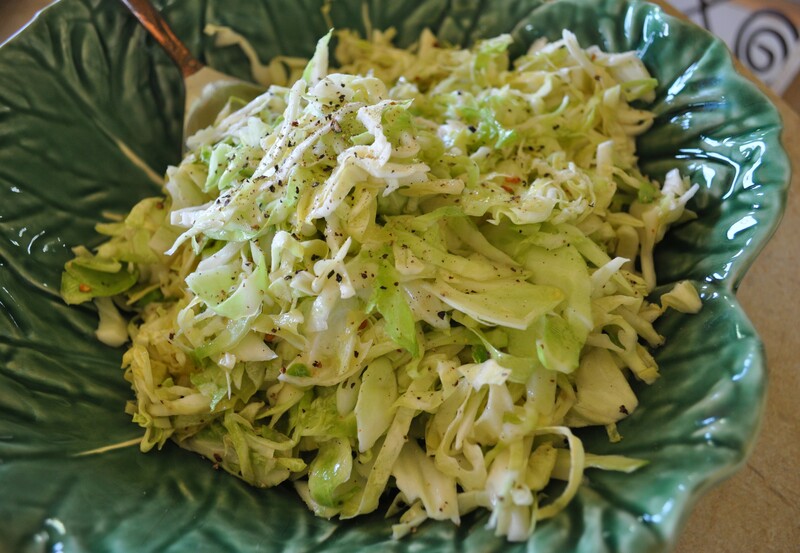 I made two coleslaw recipes for Superbowl… one was a red cabbage slaw and the other was this North Carolina Slaw… goes great with Eastern Carolina BBQ too! Mix all ingredients except the cabbage together and stir well till the sugar is dissolved. Shred the cabbage. I use the slicing blade on my food processor, but you can slice by hand or with a grater that has a slicing blade. You do not want this to be grated in small pieces as with a creamy cole slaw. 20-30 minutes before serving toss the dressing with the cabbage and chill till serving time, toss again and add more black pepper.